A couple of weeks ago my Log Your Memory January-June Print Edition arrived – it seems to have taken 2 months wandering aimlessly around the world! Anyway I said goodbye to my pretty home made book and I’m tossing up what to do with the January pages. Perhaps I’ll just tear them out and staple them into the other book? Then I can reuse the cover for something else. In the mean time I’m using my Logbook to note my hours for work (now the my uni tutoring has started again), time specific to dos, meal planner and daily diary/organiser. Log Your Memory's first Yearbook, including 365 layouts selected from our gallery during 2010 - one for every day of the year! Layouts featured each month were chosen for their design as well as their ability to capture everyday, real life during that particular time of year. Also includes personal information and a larger-size layout from our Featured Artist each month, picked by the Log Your Memory community! Monthly Sections - Tabbed divider pages (print edition only), followed by a quick reference page at the beginning of each month showing a numbered, mini version of every layout featured that month. Monthly Featured Artists - Get to know our monthly Featured Artists, including a photo of the artist and a nearly full-size look at their chosen layout, as well the artist's favourite product designers, subjects to scrapbook and reasons for why they choose to scrap their everyday, real life. 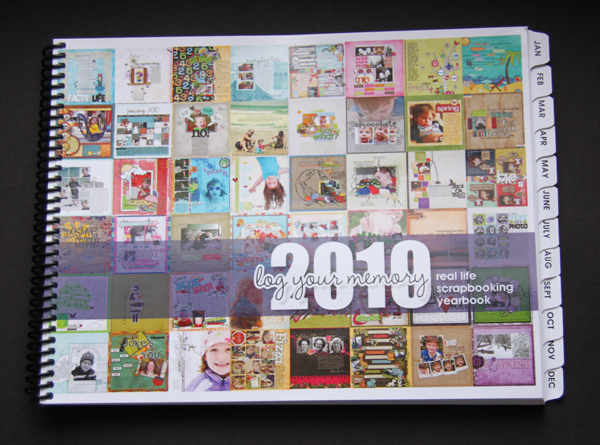 Full-Colour Layouts - Every one of the 365 layouts featured in the Yearbook is in full-colour! These images are linked in the PDF edition to the original full-size layouts in our gallery. 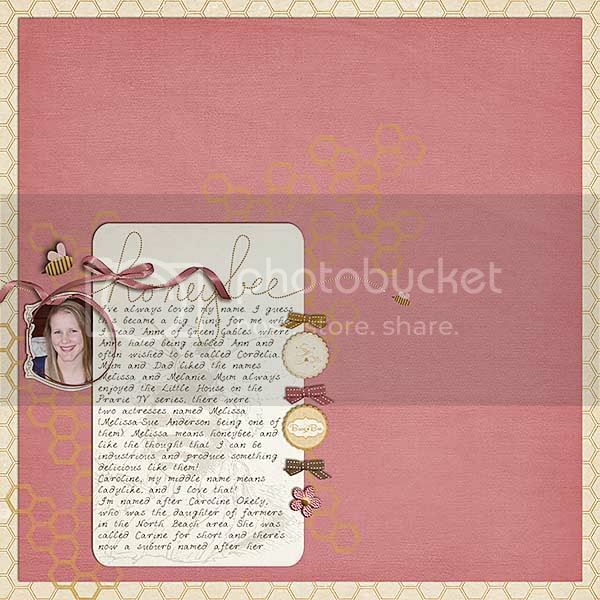 Monthly Scrapbooking Ideas - A handful of ideas every month for scrapping your everyday, real life, gleaned from the layouts featured that month. Layout Credits - A complete supply list for each layout featured. Artist Index - Find all of the layouts featured by your favourite artists with this handy reference at the back of the book. Special Note: The purchase of the coil-bound print edition of the 2010 Yearbook includes a coupon good for a free PDF download to go along with it! Sounds fun – like having a gallery at your finger tips! Today (16th of Feb) I was reading Psalm 119 and it brought back some memories. I am blessed to have been encouraged to memorise scripture since I could talk. At school we had memory verses which we’d write out with our spelling test on Friday. In year six in particular I can remember my fellow students asking me to recite it for them the morning of the test, as the teacher would take down the poster with the verse on them the night before, and I would often already know the verse from home or church. For (home) school each month we’d memorise 10 or so verses in a passage, I found that very challenging! Plus each workbook in each subject had a character trait and memory verse together, these were all in King James version, so I learnt new (old) words all the time. “Ensample” (meaning example) is one of my favourites! Dad worked hard to memorise scripture, with many little cards and what I called the “Graham Okely Handwritten Version” (sheets of notepaper with scriptures written out on them). His method for memorising Psalm 119 was to photocopy it, and paste each stanza onto a small piece of card. On the way to evening church services he would quote from it and I would read along – prompting him where necessary. He’d do 8 or so stanzas at a time. WOW! Another memory was reading and speaking scriptures in the first person from Peter Tan’s God’s Meditation Food Book – you can actually download it now in PDF form if you are interested. I’m thankful that I have much scripture to draw on in hard times, and I hope that Emily too will grow up in a home covered in the word of God. I’m amazed that I’m keeping up with this challenge and hoping that after 90 Day the habit of reading the word each day will be part of my makeup. I love the Get-it-done guy podcasts blend personal productivity, business and life skills with a big helping of humour to get you thinking about using your life efficiently and effectively (all this in a 5 minute podcast each week). So you can imagine I was thrilled when Stever Robbins brought out his book. Here’s my quick review of the book – I got the audio version from Audible.com. Great personal productivity advice with ZOMBIES! Everything is better with humour and Stever gives practical, usable tips with a healthy dose! The book includes lots of tips and also makes you think twice about how you are living your life. I thoroughly enjoyed the book and am even implementing some tips already. Stever mixes self-help with business acumen and a life purpose perspective that really makes you think about what you are spending your time on. He even includes tips on what to do with your newfound time and how to avoid getting sucked back into busy work. Get More Done for Less Than $5!!! In honor of my 10 millionth show download (! ), we're dropping the price of my e-book, Get-It-Done Guy's 9 Steps to Work Less and Do Mor Get-It-Done Guy's 9 Steps to Work Less and Do More (Quick & Dirty Tips) e to only $4.99! This is a limited-time offer; the price goes back up to normal at the end of the month. In addition to Angelina and Brad (who you'll remember from previous newsletters are big fans), Aaron Rodgers said he never could have won the Super Bowl MVP without my advice on beating distractions and staying focused, and Christina Aguilera, who read my entire book on her e-reader yesterday, said she only wishes she had gotten it sooner--the advice on using Life Maps helped her realize she should have spent more time practicing the Star Spangled Banner and less on answering emails. Get a copy for your own e-reader (for less than $5!) today. Who knows how it might change your future for the better--or help you avoid a big mistake. Do you have a great book to share? I'm keen to see what you are reading. We’ve only had 5 Valentines since being a couple, and it’s a fun excuse to remember to indulge in a little romance. In 2007 we went out the Oceanus as an early Valentines outing since Phill was in Perth In 2008, we were in the midst of moving house we went to the Palace in Kalgoorlie. 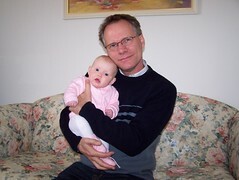 2009 we were expecting Emily and spent the night with Natalie, Lauren and Cait at the Fab Four outdoor concert in Kalgoorlie. In 2010 we spent the day with Phill’s parents and went out to dinner with them on the 15th to Rydges in Kal, where Emily sampled her first steak while teething! Emily enjoying her first steak–and posing to wait for the camera flash! This year was a little different, I was running errands at the shops and administering anti-biotics to a sick little girl. This year I didn’t consult Katie’s excellent guide to the holiday, I didn’t have a card prepared and I didn’t even pull out my red dress (the picture below is from 2008 – the I love you is written in pegs). We spent the evening with the Okelys and we enjoyed dinner and dessert being made for us! I received a gorgeous puzzle card though! I’m sure 2012 will bring yet another new and different Valentine's Day to our collection! Much love to my Valentine! I’ve just received the first instalment of this free (yes, it’s free!) two week class by Karen Grunberg. I’ve not even finished watching the presentation and I’m loving it already! So much to apply to my scrapbooking and life in general I think.
" Have no fear of perfection - you'll never reach it." Many people never create the layouts they dream of creating because they are paralyzed by the fear of imperfection. They think that if their photos aren't technically excellent, their words aren't just right, or they use the wrong colors, their layout will not be worth creating. A voice in their head tells them the page is not perfect, the photo is less than ideal, and the papers are not lined up properly. They cannot stop the feelings of inadequacy from creeping into their mind and so they stare at one embellishment as they try to decide where to place it…for hours…days. Sometimes they even walk away permanently. Is this sounding at all familiar to you? Think of all the stories that are never told, all because you aren't sure where to place an embellishment. Because you can't tell that voice in your head to "take a hike!" Because you compare yourself to an ideal that simply does not exist. It's time to squash that voice and embrace imperfection. In Karen Gurnberg's free two week class, she will teach tangible ways to get around the most common cases of imperfection with tips and tricks to work with each problem: imperfect photos, hand-journaling, choosing embellishments, laying things out on the page, lining items up, color use, trying new things, making a mess with ink and sprays, using rub-ons and stamps. It's time to learn why you should embrace imperfection in each of these areas. I’d love to see you in the class and it is not to late to register, you have until the 16th of February.